WACO, Texas – Baylor men’s golf opens its 2018-19 season this weekend with the Fighting Illini Invitational. The three-day, 54-hole tournament is played on the par-70, 7,281-yard course at Olympia Fields (Ill.) Country Club. 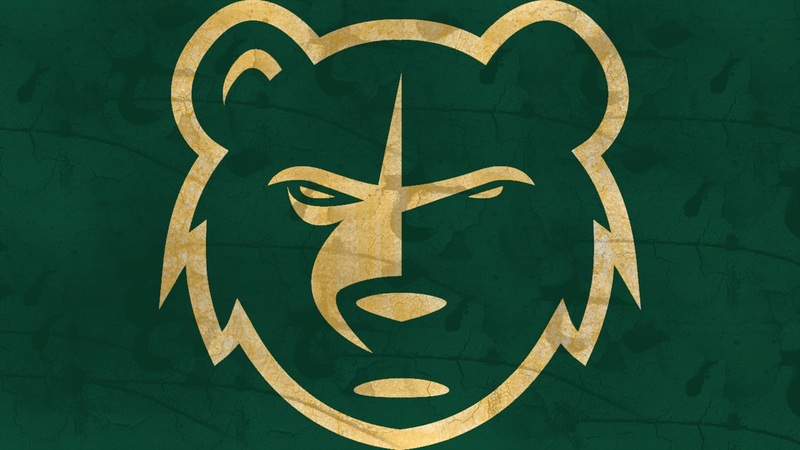 Baylor returns to Olympia Fields for a sixth consecutive season. The Bears’ best finish came when they took third place in the 15-team field in 2014. Last year’s BU squad finished in fourth place, and the Bears placed ninth in 2013, tied for 12th in 2015 and 10th in 2016. Baylor is ranked No. 14 in the GCAA preseason coaches poll, and BU is part of a 14-team field that includes 10 top-25 ranked teams. The Bears take on tournament-host No. 16 Illinois, No. 2 Alabama, No. 1 Oklahoma State, No. 11 California, Indiana, No. 11 Stanford, South Carolina, No. 23 UNLV, No. 20 USC, Air Force, No. 4 Texas A&M, No. 25 Florida State and Purdue. The Bears tee off for Friday’s first round at 8 a.m. CT in pairings with players from California and Oklahoma State. Saturday’s second round also begins with tee times starting at 8 a.m., and Sunday’s final round is slated for tee times beginning at 7:30 a.m.
Baylor’s lineup is led by senior Garrett May, who is in the No. 1 spot for an eighth consecutive tournament dating back the March 2018 Querencia Cabo Collegiate. He’s followed by sophomore Ryan Grider in the No. 2 spot for the first time in his BU career. Grider was in the BU lineup for nine of 13 tournaments last season, all in the Nos. 4 or 5 spots. Junior Cooper Dossey returns to the No. 3 spot, marking a sixth consecutive tournament in the lineup after returning from an injury during the 2018 spring season. Junior Colin Kober is playing in the highest spot of his BU career at No. 4. Kober played at No. 5 all five times he was in the lineup last season. Senior Braden Bailey is in the No. 5 spot, extending his streak to all 39 tournaments in the lineup over his four years at Baylor. Head coach Mike McGraw is back for his fifth season leading the Bears, and he’s riding a school-record streak of three consecutive NCAA Championship appearances. Assistant coach Ryan Blagg returns for his seventh season at Baylor after helping the United States team capture the 2018 Palmer Cup this summer in France. Dossey enters the season with a 71.82 stroke average across 65 career rounds, which trails only Jimmy Walker’s 71.55 on Baylor’s career leaderboard. Bailey is seventh on Baylor’s all-time list with a 71.99 average across 115 rounds, while May is eighth with a 72.16 mark over 93 rounds. Bailey is seventh in program history with 16 career top-10 finishes and seventh with eight career top-5s. With his appearance at Olympia Fields, Bailey will move into 15th all-time at Baylor with 118 rounds played, passing Aaron Pellegrom with 116 rounds. May is 10th at Baylor with 12 career top-10 results. Bailey has the Bears’ first tee time at 8 a.m., and he’ll be followed in nine-minute intervals by Kober, Dossey, Grider and May, respectively. Live scoring for the Fighting Illini Invitational is available at www.golfstat.com. #16 Baylor finished 13th out of 14 teams with a three-round total of 887 (+47) beating only #194 Air Force (+82) and finishing one stroke behind Purdue (+46). Top-ranked Oklahoma State ran away with the championship shooting a three day total of 829 (-11) as the only team under par for the tournament.